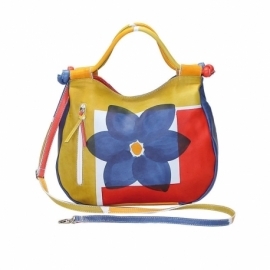 Natural leather handbag, hand painted with tangled shoulder strap, outside pocket and zip fastener. 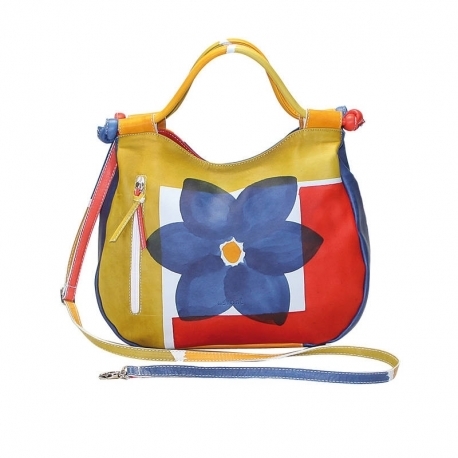 It can be used also with a long shoulder strap. Ideal for free time and casual clothes but also in formal situations, very comfy thanks to its flat shape, colored and lively it fits at any age. 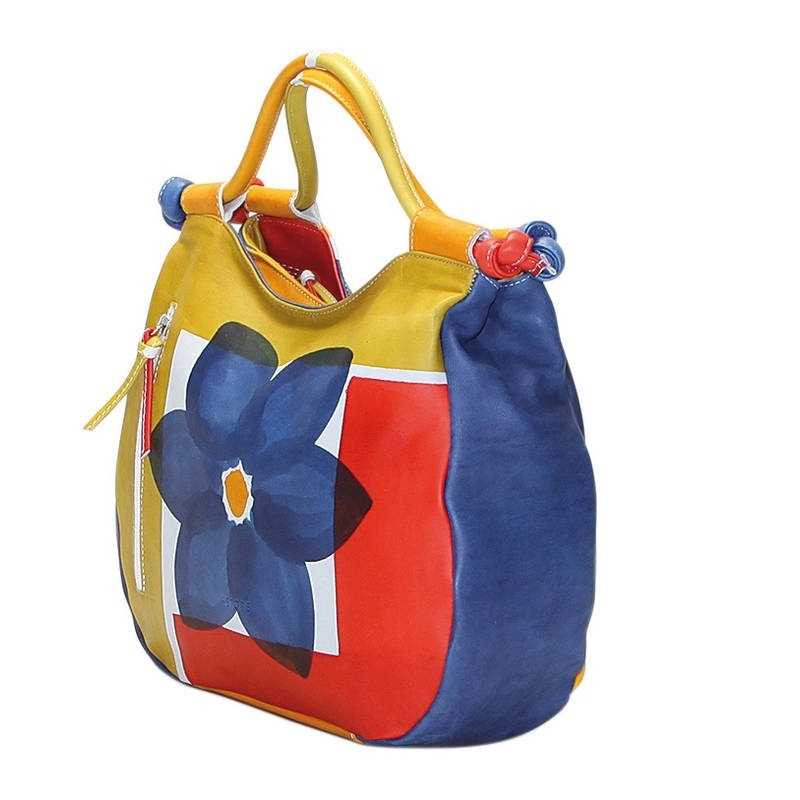 Alla Acquerello handbags can be purchased with matching shoes and other accessories. Colors yellow, green, blue and red and flower pattern.